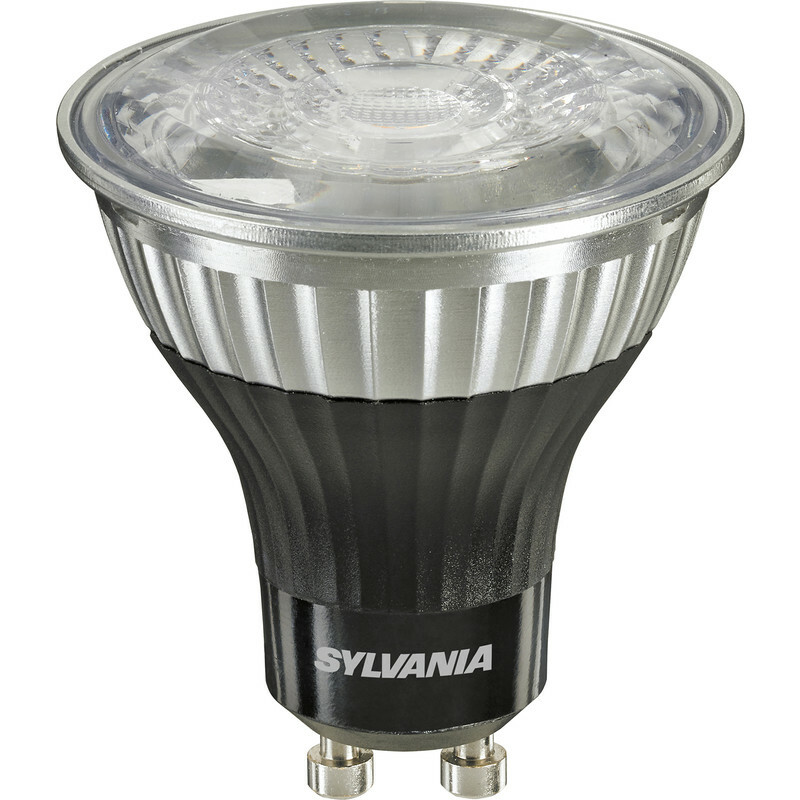 Sylvania LED Pureform GU10 Dimmable Lamp 5.5W Warm White 360lm A++ is rated 4.0 out of 5 by 2. Rated 4 out of 5 by SamR from Natural light good looking bulb while on or off, nice quality of light, although 25% of the bulbs will not engage until dimmer is turned up. Rated 4 out of 5 by Graham47 from Great LED Lamps Bought for the kitchen. Good light spread and colour. Have used 15 with a Varilight 3 gang dimmer which works well.